It’s a new month – get your 25 free Clubcard points with Tesco Views! As it’s the first week of August – the start of a new month – I thought it worth a reminder about an easy way to earn a handful of Clubcard points every month with Tesco Views. Tesco Views is the offspring of Tesco Comments, a scheme which was trialled early in 2013. You may have seen the little cards sitting by the checkout desks in your local store. The aim of Tesco Views is to get feedback on your shopping experience. Once every calendar month, you can visit the Tesco Views website. You will need a recent till receipt to hand because you will need to input the four digit store reference code. If you don’t have the receipt, the code also appears on credit or debit card statements next to the store name. Answer a few quick questions about how long you had to queue and whether you could buy everything you wanted, and you’re done. 25 free Clubcard points will be added to your account. Make a diary note to repeat at the start of each month! One lucky Tesco Views entrant each month will also win a £1,000 Tesco gift card. Why not give it a try now? I used to do them but never seemed to receive any points – Does anyone know if this glich has now been resolved? They are a nightmare, very hit and miss. I always make a diary note to chase them up for the points each month. They only very occasionally get credited without chasing. My experience with Tesco over many years is the points for shopping there get credited without a problem but from things like Tesco Views, going paperless, providing them with an insurance renewal date virtually never and it is always somebody elses fault. Shoppers Thoughts survey credits are erratic also. I am still owed ones from January but ‘issues’ means they are always coming soon but never arrive. I have concluded that they must share IT with British Airways who constantly have issues that always adversely effect their customers. 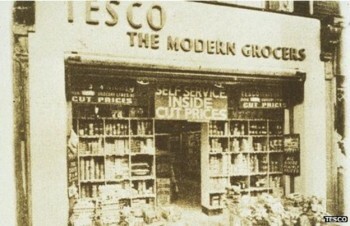 I now avoid having anything to do with Tesco except shopping in their stores when convenient. How shortsighted they are! I,v done this a few times but NEVER get my 25 club point….as any one else had this problem? Recently nothing posted to my account for 3 months and then one day 3 sets of 25 points all posted at once. likewise, they seem to come in batches. are you entering your card number correctly, including 2 leading zeros ? For the number of points and length of time it takes to do these surveys, I find it’s really at the limit of my patience, I rarely bother. Not as bad as e-rewards though, in terms of time per point! Yeah I got the points the first time i did the survey, the second time I had to chase it up. Wondering if they don’t allow you to get points on the same store twice? It’s been hit and miss with me too. Sometimes do not get. Other times 2 or 3 come at once. t just got 25 points within 24 hours – never happened before, but could be coincidence and be for an older survey, I suppose! what a load of c##p only wanted 25 free points been all over net and back, taken half a hour of my life and still no free points. so much for just ansure a few questions. CS told me that they were supposed to be credited during the month following the month when you did the survey. I shop there all the time. I don’t use any other shop. I love the idea of Clubcard too.